Founded in 1882, The Racing Club de France prides itself on being one of the oldest sports club in France. Based at the Croix Catelan ground since 1885, the Parisian Club were champions of France in 1892. Their home ground is now the Colombes stadium, wich was built in 1924 originally for the Paris Olympics and for 5 Nations´tournament matches. 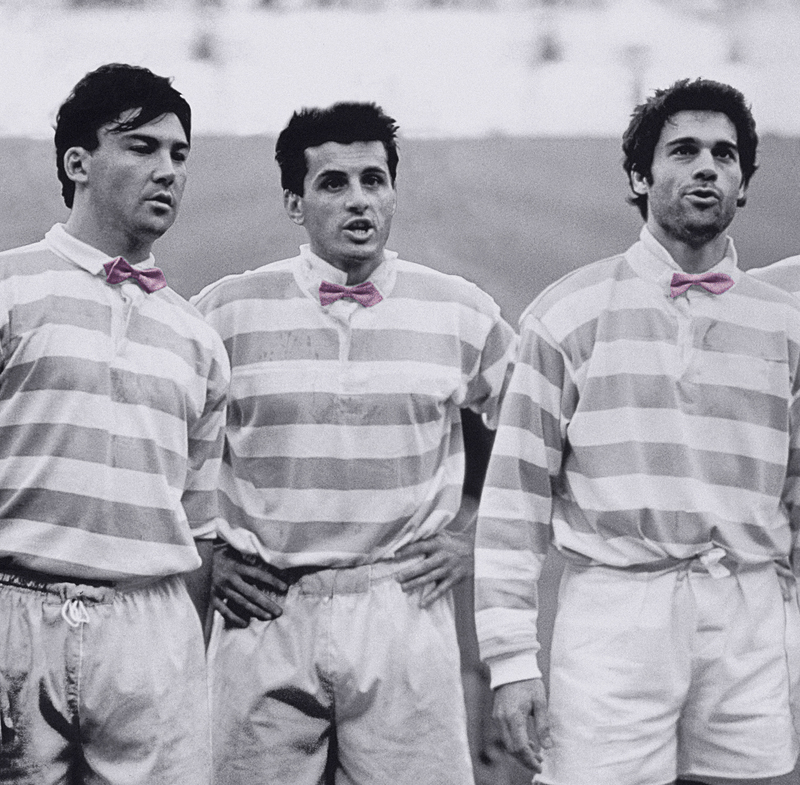 The end of the 1980´s saw the RACING METRO 92 return to form at the highest level when they got trough to two Championship finals and In 1990 they were once again crowned Champions of France. The 1980´s also saw the arrival of some very prestigious players including R.Paparemborde and J-P Rives, and later the ´celebrity» generation of Mesnel, Blanc, Roussel, Guillard and Lafond. Bravo…et merci ! / Well done and thank you !